The Northwest Museum of Arts & Culture will be the preeminent cultural showplace in the Pacific Northwest for the arts, history and lifelong learning. 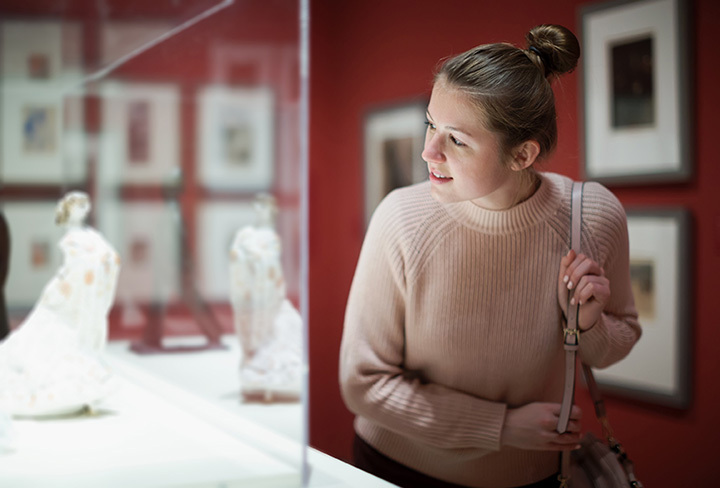 The mission of the MAC is to actively engage all people in the appreciation of arts and culture through collections stewardship, exhibits and programs that educate and entertain. 1916-1925: Officially incorporated on June 5, 1916 as the Spokane Historical Society, the Museum "was started with a meager display of a few curios in a single six foot show case ... on the fifth floor of ... City Hall." The Museum moved to the fifth floor of the Crescent Department Store in 1917 and in 1918 changed its name to the Eastern Washington State Historical Society. Initially focused on "historical purposes," the Museum's focus soon expanded to include art. 1926-1960: The gift of the A.B. Campbell home from Mrs. W.W. Powell in 1925 provided a permanent home for the Museum in Browne's Addition. In 1926, the Museum secured recognition and funding from the State of Washington to "collect books, maps, charts, papers and materials illustrative of the history of Washington." Exhibits featured "modern" art, historic artifacts, natural history specimens and general curiosities. 1960-1983: In 1960, the W.H. Cowles family presented the Cheney Cowles Museum building, adjacent to the Campbell House, as a memorial to Major Cheney Cowles. The Museum changed its name to the Cheney Cowles Memorial Museum and began restoring the Campbell House to its "Age of Elegance." The Museum celebrated its 50th Anniversary in 1966 and obtained accreditation from the American Association of Museums in 1972. 1984-1999: A one million dollar addition to the Cheney Cowles Museum building opened in May 1984, featuring expanded programming and work spaces, as well as climate-controlled collection storage. Extensive formal restoration of the Campbell House began the same year. As the Museum celebrated its 75th Anniversary in 1991, it expanded to include the extensive collections of the Museum of Native American Cultures (MONAC). In 1998 the Museum celebrated the 100th Anniversary of Campbell House. 1999-Today: Construction of a "new Museum for a new millennium" began in 1999, featuring expanded exhibition, programming and collection storage spaces. The new facility opened on December 5, 2001 as the Northwest Museum of Arts & Culture (MAC). The Museum became a Smithsonian Institute Affiliate in 2001 and today showcases the best of regional history, art and American Indian cultures.